At ABIM, we continue to listen to the community and read each of the hundreds of e-mails that ABIM diplomates take the time to write to us. Thank you for sharing your feedback, experiences and ideas with us. I’d like to share a few that specifically focus on ABIM’s Internal Medicine Maintenance of Certification (MOC) exam. The e-mails below—used with the authors’ permission—articulate varying perspectives from general internists on the Internal Medicine MOC exam. The views expressed are their own and reflect recurring themes we’ve heard. I am ABIM certified in Internal Medicine. There should at a minimum be a voluntary recertification process. The way the initial MOC program was rolled out, with requirements to use ABIM content, came across as a grab for money and power. I prefer other content/sources over ABIM ones after using them. I would probably voluntarily recertify every five years if given that option, and would like that info to be public. I am so happy there is an open discussion about the ABIM Recert Exams. I was certified in 1991 and since that time have been working in private Urgent Care facilities only, without any hospital-based care at all. It seems to me that the exam should be split into an inpatient care exam and an outpatient care exam. The hospitalists of today and those of us who do not do hospital admissions practice very different medicine, and our knowledge does not overlap in most cases. The ABIM Exam currently has about 10% of the exam (correct me if I am wrong) based in outpatient/urgent care and the rest of the exam is irrelevant to what I do on a daily basis. I no longer need to know how to read a central venous catheter reading of the heart; however, I do need to know the protocol for a patient with suicidal ideation. 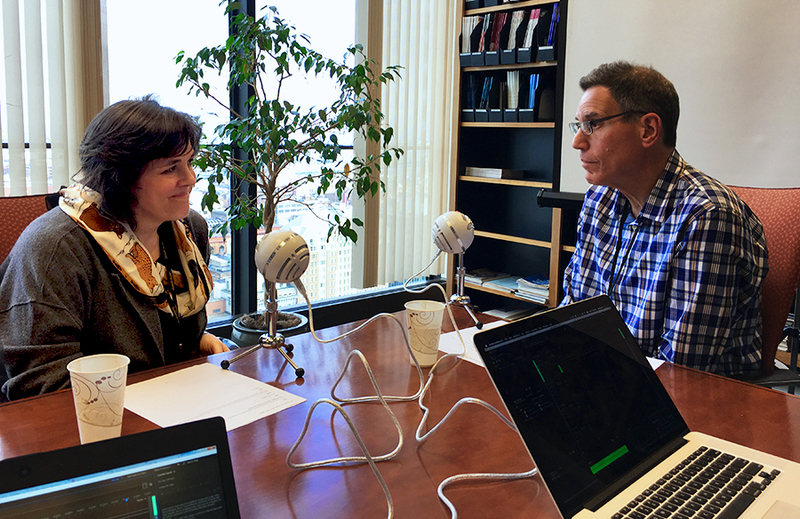 Urgent Care/Primary Care office-based medicine is the fastest growing field in Internal Medicine today and yet the exam still focuses largely on hospital care. Has there been any discussion on this obvious dichotomy of the modern Internal Medicine/Primary Care world, and the creation of two exams? Editor’s note: Reflecting the overall predominance of office-based internal medicine practice, most questions on the Internal Medicine Maintenance of Certification (MOC) examination describe patient encounters that take place in outpatient settings; some encounters will occur in hospital or other inpatient settings as most general internists provide patient care in these settings as well. Thank you for listening! This exemplifies great leadership. I think ABIM has good motives. As you said, it is important for physicians to be lifelong learners. However, it should not be forced. In this age of technology, we have to know how and where to find information. We do not need to have entire knowledge at the tips of our fingers. As strange as it sounds, I actually enjoyed studying for the boards—listening to ACP tapes and solving MKSAP questions. It was good to recall the rare medical problems I do not see on a daily basis. But it also came at the expense of time—time lost with family and friends. We need to revolutionize the certification process to appeal to the technology-savvy physicians with some sort of a regulated open book system. The panic of having to pass the exam created several profitable institutes of board preparation courses. As several of my colleagues pointed out, the patient modules do not serve any purpose. Once again, I appreciate your patience and listening to our concerns. As previously announced, ABIM will be updating the Internal Medicine MOC exam to focus on making it more reflective of what physicians in practice are doing, with any changes to be incorporated beginning fall 2015 (and more subspecialties to follow). We will provide updates on this blog in coming weeks. ABIM is using an active community engagement process to get more physician input into our programs. The first phase is active listening to the community—and the open invitation to e-mail me directly stands and is encouraged, as it is an important channel to help us receive your feedback. The information collected and shared here will be synthesized and incorporated into redesign and ongoing improvements to policies and programs here at ABIM. 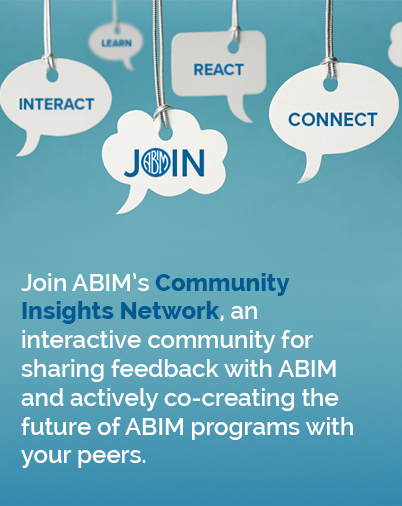 We will continue to use this blog to update you on ABIM’s engagement activities, and include you in the next phase of our efforts as we take your feedback and begin the process of designing enhanced programs with the community. I appreciate all the feedback we’ve received. Please continue to share your thoughts and ideas with me directly at rbaronmd@abim.org.